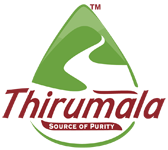 Thirumala Milk Products Private Limited is a leading private dairy company in South India established in the year 1996 and has since then maintained its position as a fast growing company based on the ideology of providing tasty and healthy range of milk and milk products for one and all. Thirumala has a presence in some major states in India some of which are namely; Tamil Nadu, Karnataka and Andhra Pradesh. For over 52 years, Anik has been a trusted source for dairy products in India. Owing to the brand’s fine production and quality standards, its products have been a favourite across north Indian homes and businesses. Being sourced from the famed region, Malwa, Anik’s products are the finest in terms of purity, nutrition, and taste. Anik is also renowned for its milk powder which meets international quality standards and is exported to several countries. Content provided by The Lactalis Group, Info Edge India Limited disclaims all warranties against infringement.